Dark Delight has great hashy flavours and the aroma will remind older growers of the best 1980?s hash. Yields are good and many growers report she can be cropped after 8 weeks of flower. The high is strong, racy and intense ? it won?t suit those looking for a soft daytime smoke or those used to a milder smoking experience. 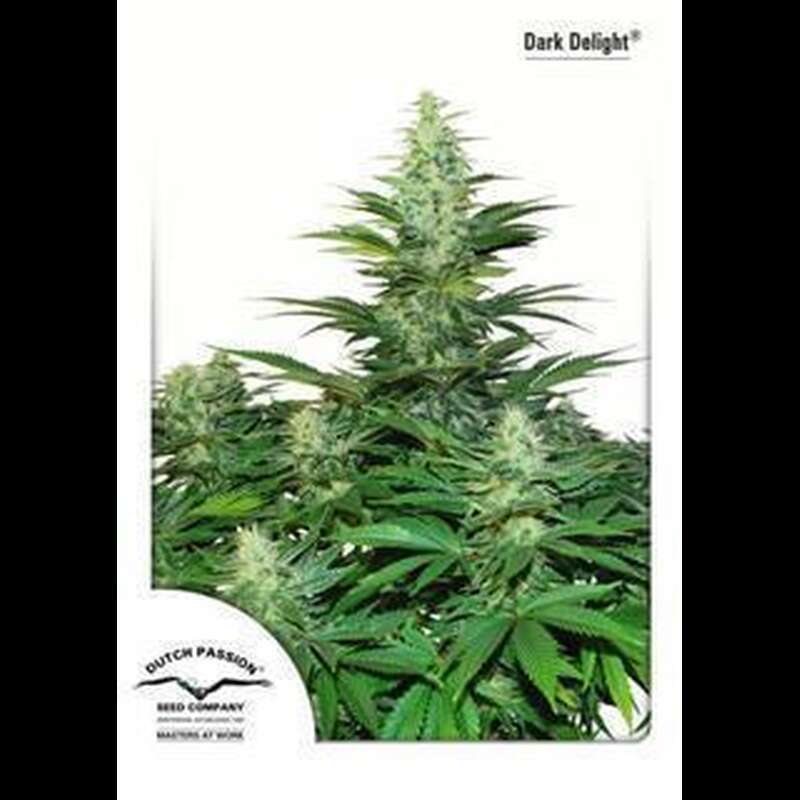 But for those growers looking for something new, Dark Delight offers a combination of great flavours and very strong cannabis which blooms quickly and in good quantities. Highly recommended.